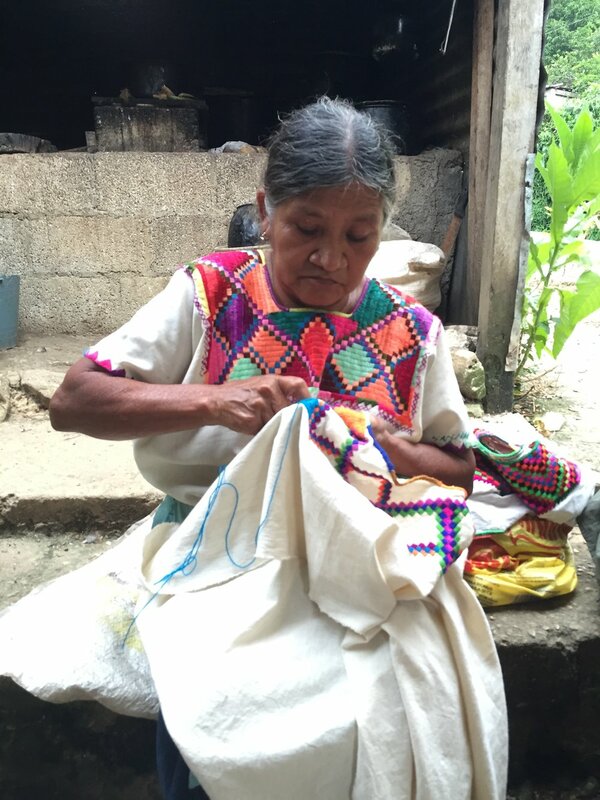 Help Chiapas was created to help alleviate the need for indigenous peoples from Chiapas to migrate from their hometowns by improving their communities’ economic opportunities through language, culture, education and health exchanges. At the request of our host town, our organization began its pilot program in the summer of 2008 in a small Ch’ol community in northeastern Chiapas called Ignacio Allende. Since then, we have been organizing everything from English classes to community projects involving health clinics to improve the chances of Allende’s youth after high school and inspire them to preserve their unique indigenous language and culture. We continue to work with community leaders to identify needs and make our work more impactful. Our scholarship program launches in 2019 to help indigenous youth go to college or trade school! There are approximately 120,000 people who speak Ch'ol today. In recent years, more and more kids have stopped speaking Ch’ol because they believe that by learning Spanish, they will be able to fit in better in Mexican society. Our language exchange project has brought American volunteers to the village where, along with teaching English, they learn Spanish and Ch’ol, the local Mayan language. The smile and pride that brightens up community members’ faces when they see that we are learning their language is amazing! Most importantly, the example we show the little one’s of the importance of speaking Ch’ol makes them continue to want to speak it and inspires pride in their roots. The community of Ignacio Allende is tight-knit and organized. They have fought for years for a primary, secondary and now a high school for their children to attend in the village. For most youth, high school is the highest education they will get. Although many students are accepted to university programs, they must travel to a different city and/or live there to attend. The cost of living outside of the village is too much for the families and causes many students to drop out. Our scholarship program will launch in 2019 and will help students with the finances they need to eat and sleep well so that they can focus on their studies and bring back what they know to benefit their families and community. The Ch'ol people live mostly on subsistent farming of corn, coffee, beans and squash and most families raise chickens, turkeys, pigs and sometimes cows. Farming in the jungle means working the land in the hot sun, through torrential downpours and as of recently, floods and drought. Through specialized clinics we can make sure that community members are healthy and able bodied to provide for their families. We work with professional organizations to provide basic health care including dental and eye care, as well as health education. Families can stay healthy and happy, together.